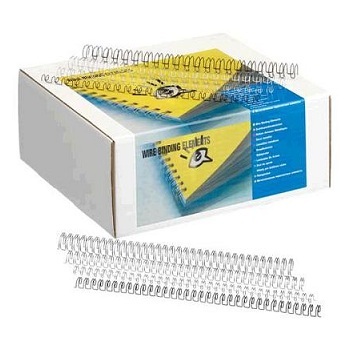 23 Loop, Standard 2:1 Pitch Wire Combs for A4 size reports. Create a stylish, professional finish for any bound document. 16.0 mm (No.10 - 5/8") width for up to 125 sheet capacity. Available in either Black, White or Silver. 19.0 mm (No.12 - 3/4") width for up to 150 sheet capacity. 22.2 mm (No.14 - 7/8") width for up to 180 sheet capacity. Available in either Black or Silver. 25.4 mm (No.16 - 1") width for up to 210 sheet capacity.